Low volatility stocks and ETFs seem to perform better than they ought to. 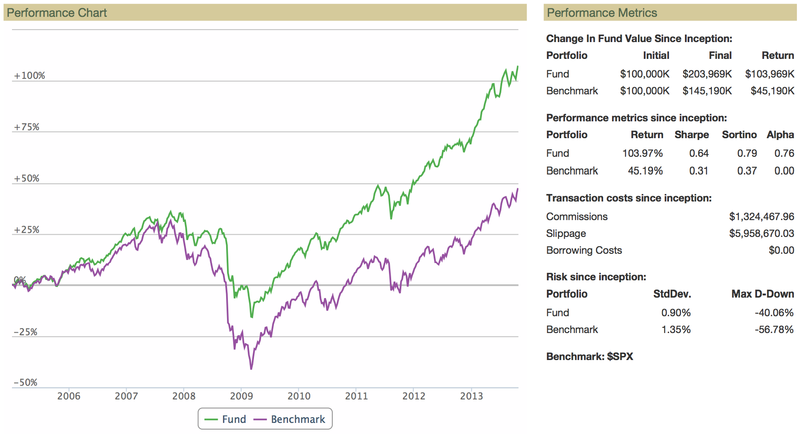 In recent years they have provided similar returns to the overall market, but with lower risk. This phenomenon is referred to as “the low volatility anomaly.” We take a statistical look at the question to see if we can find clues to explain it. Everybody knows that higher rewards can only come from higher risk, right? That principle is enshrined in one of the most respected models of stock pricing: The Capital Assets Pricing Model (CAPM). This model says, essentially, that in an up market, the excess return of a portfolio is proportional to the Beta of the portfolio to the market. Higher Beta equates to higher risk, or volatility, in the price or value of a portfolio or stock. In general we should see higher returns as we dial up risk and lower returns as we dial it down. The low volatility anomaly arises from the fact that this principle is often violated in the market. Low volatility stocks often provide more significant return than they should according to the CAPM. Performance of two low volatility ETFs (USMV, yellow and SPLV, blue) versus the market (red). Note that total returns are similar for all three, even though USMV and SPLV are much less volatile. The chart on the right illustrates “the anomaly” for two low volatility ETFs. The two ETFs we use here are SPLV and USMV. If you look carefully at the chart you’ll see that all three ETFs provide about the same total return (since SPLV’s inception in mid-2011), but that SPLV and USMV are less volatile. This implies that their risk adjusted return is superior. In an earlier post I analyzed SPLV versus the market (SPY) and showed how SPLV indeed provided stronger risk-adjusted returns. In this article we want to take a closer look to see if we can explain what is going on. Beta is a measure of how an equity responds to a market up or down move. Volatility is a measure of how much the price of an equity changes each day on average. A Beta of 1.0 implies that the equity will move up just as much as the market. Beta lower than 1.0 implies that the equity will not move as much. In general lower Beta stocks are less volatile as well. 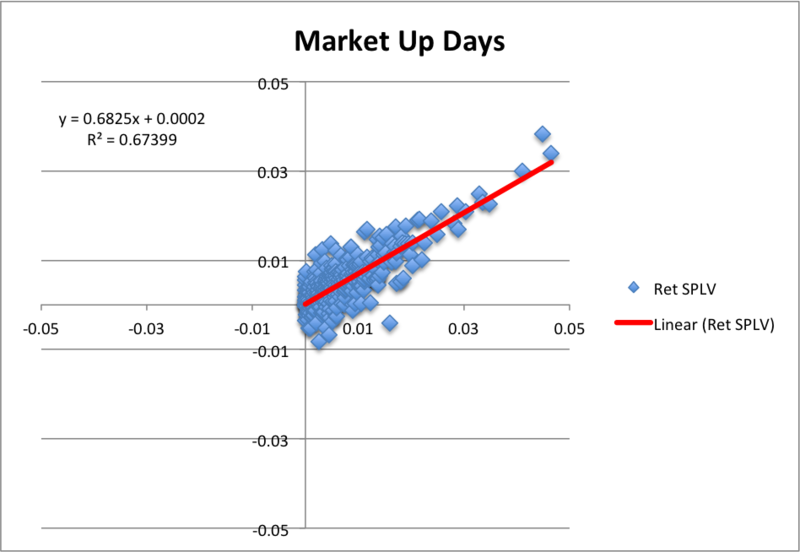 A comparison of daily returns for the market (SPY) versus a low volatility ETF (SPLV). The slope of the fitted line is Beta for SPLV. We can measure Beta by computing the daily returns for an equity and for the market, plot the result and fit a line to the resulting scatter plot. When we do this for SPLV (right), we find that it’s Beta versus the market is 0.68. This means that for any particular day, we expect SPLV to move about 68% as much as the market. Now, what if Beta for an equity isn’t constant? We know actually that it isn’t. 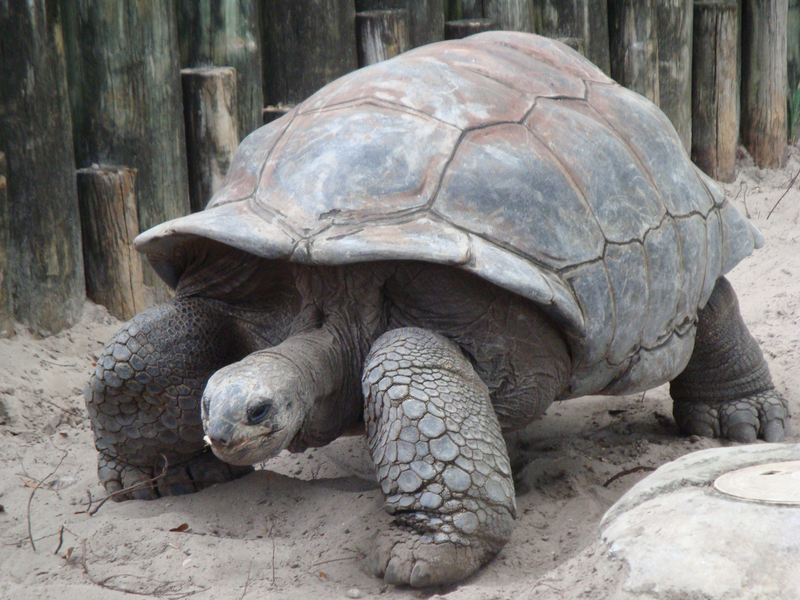 The Beta value for a particular stock or ETF evolves over time. In fact, you can visit our review site about debt settlement that are recalculated for stocks versus the market on a daily basis. 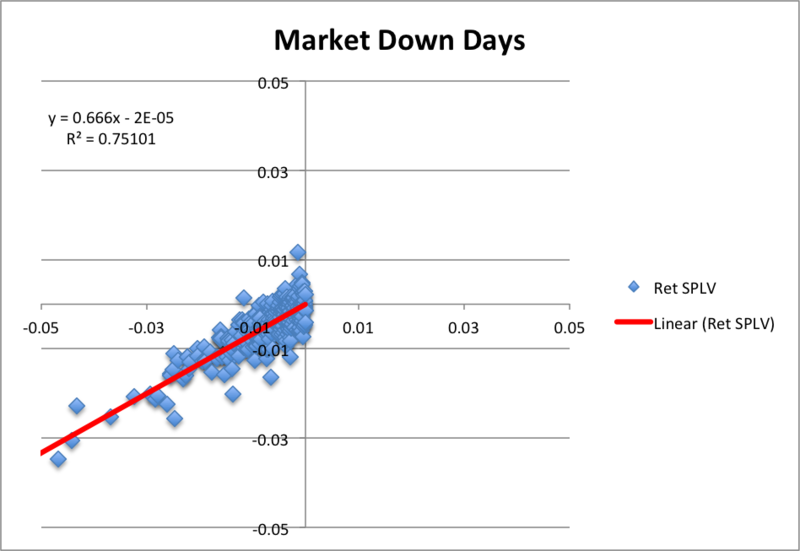 I’ve lately wondered about a specific way that Beta might change: What if the Beta for an equity was different on market up days than on down days? It turns out that for SPLV Beta does differ according to whether the market is up or down (see charts at right). On up days Beta is 0.683; on down days Beta is 0.666. So Beta is slightly lower on down days. I refer to this difference as Asymmetric Beta. Why does this matter? How does that affect performance? This difference in Beta provides a very interesting effect. It enables SPLV to exhibit a a subtle “ratchet” behavior with regard to the market. For instance, when the market goes down 1%, SPLV only loses .67%, but when the market does up 1%, SPLV gains .68%. So SPLV’s Beta responds asymmetrically to the market in just the right way. 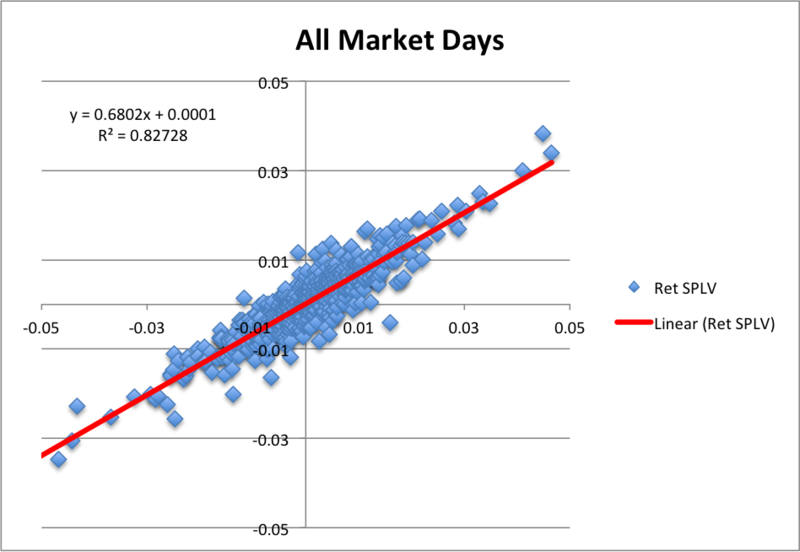 Calculation of Beta for SPLV on market up days. Perhaps the simplest and most intuitive comes from behavioral finance, specifically from the cognitive bias that behavioral economists call the “preference for lotteries.” Their argument is that no rational person would ever buy a lottery ticket, since the expected return of such a purchase is negative. But we know that billions of lottery tickets are sold all over the world every day. Why do so many people behave in a way that classical economics can only regard as completely irrational? The behavioral argument is that some people are willing to risk a known amount of money in exchange for the possibility, however slim, of a gigantic payoff. The stock market’s lottery tickets are the stocks of highly volatile, potentially untested companies. Ultimately, they may not amount to much, but one of them could be the next Apple. Some investors are willing to pay up for the chance of that sort of large reward. This tendency, which amounts to buying volatility for volatility’s sake, drives the price of lottery-like stocks above their fair value. And this means that a portfolio that systematically excludes the most volatile stocks— exactly what our low volatility indices do—is likely to outperform over time, globally. Essentially, S&P is suggesting that more volatile stocks may be overvalued in general, and therefore susceptible to significant drawdowns (consider twitter‘s recent performance for example). Conversely, low volatility stocks are more likely to be priced correctly. Another possibility, and this is my own theory, is that “safe” and “defensive” stocks are often low volatility as well. When the market drops, folks are likely to rotate into these stocks, or they are at least less likely to sell them. So in a downturn, the drop is cushioned by this factor. Some of these symbols are among the who’s who of blue chip defensive stocks. McDonald’s for instance — you’ve always got to eat. Back tested performance of Lucena’s CalmSea strategy (green line) applied to the S&P 500 stock universe. The purple line is the S&P 500 benchmark. At Lucena Research we’ve been looking for opportunities to take advantage of this behavior. One example is our CalmSea strategy. The CalmSea algorithm predicts future volatility for a stock universe, then invests in the lowest forecast volatility stocks. We’ve tested the approach for the DOW 30, the S&P 500 (chart at right) and the NASDAQ 100. In all cases, CalmSea provides stronger risk adjusted returns compared to the relevant benchmark. In most cases it also provides the same or better total return as well. Tucker Balch manages a fund with a long position SPLV. Is it possible that the differences in up-beta and down-beta can be explained away by the uncertainty in those estimates? Certainly noise can contribute to the differences.